of the Bavarian Soviet Republic! 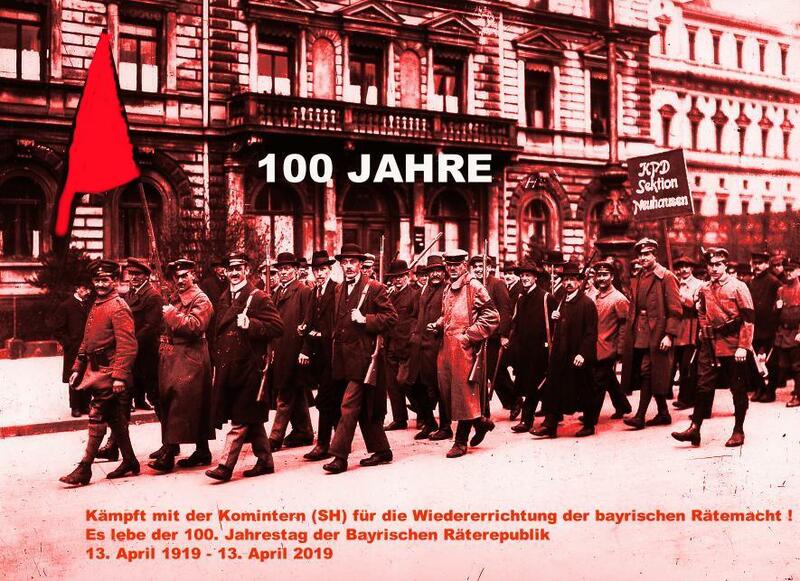 On the occasion of the 100th anniversary of the Bavarian Soviet Republic, the Comintern (SH) sends you revolutionary militant greetings. We commemorate the workers, the leaders and members of the Bavarian KPD, who shed their blood for the liberation of the working class. We swear that their blood has not flowed in vain, that despite all this we will re-establish workers' dictatorship in Bavaria again. On April 13, the reformist bogus government was disarmed by the counterrevolution. 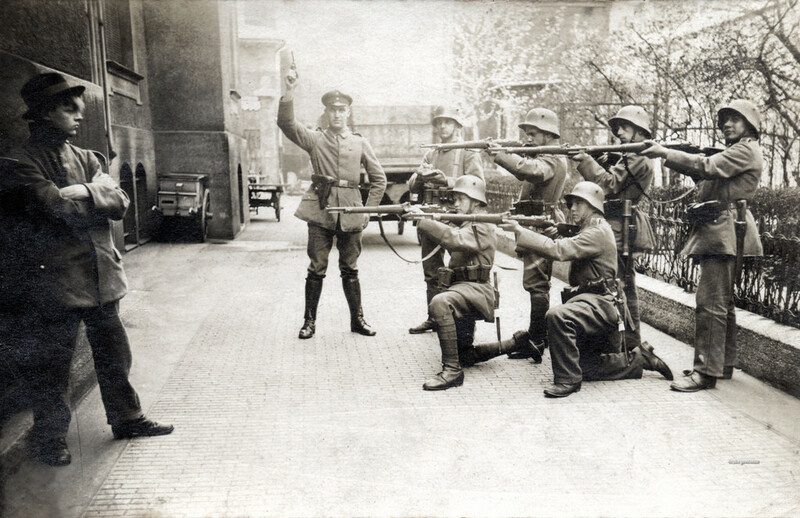 The Munich workers bravely fought to prevent the reaction from gaining power. The workers succeeded in defeating the enemies. 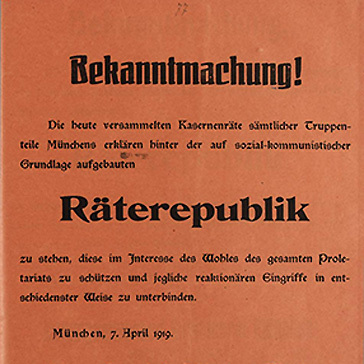 On April 13, a real Soviet government for Bavaria was proclaimed, headed by the KPD. 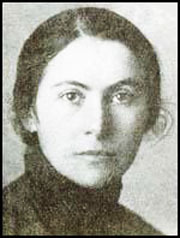 She immediately sent a letter of welcome to the Russian Soviet Republic and to the Soviet Republic, which had formed in Hungary. 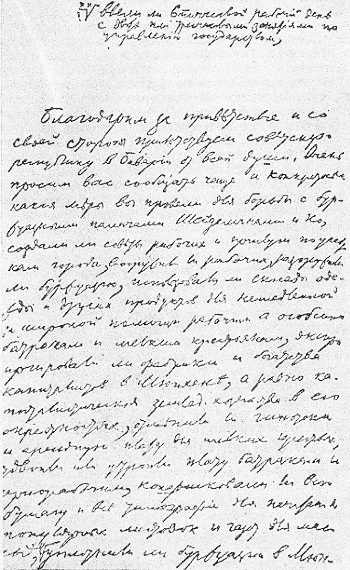 Lenin answered with a series of questions and suggestions for the most important tasks. They did not expropriate the possessions of the landlords. They did nothing to improve the situation of farm workers and working peasants. They failed to secure their allies on the countryside. Reactionary organizations stirred up the peasants against the workers. The "Independent Social Democrats" in the Soviets negotiated with the enemy instead of resolutely fighting it. All this weakened the Soviet government, which received no help from the revolutionary forces throughout the German Reich. So Munich was isolated and encircled. After bloody battles, the gangs Noskes penetrated on May 1, 1919 in the city. The workers fought bravely. Finally, they were left on their own and defeated by the machine guns, armored cars, guns and aircraft of the numerically superior troops of the counterrevolution. 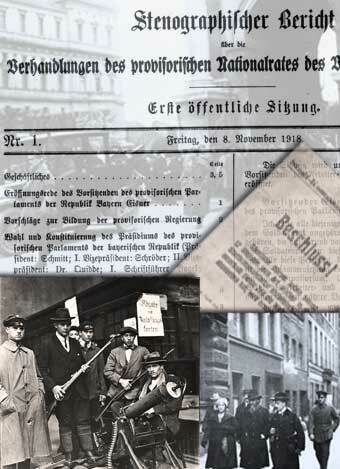 In 1919, the unity between fascists and social fascists proved to be stronger in Bavaria than the forces of the proletarian revolution. The struggle against these counterrevolutionary twins is an important lesson for the victory of the future socialist revolution in Germany and for the world socialist revolution. Let's turn the defeat into a victory! Let's rebuild the Bavarian Soviet Republic! Let's defeat the neo-revisionists before they can bargain with the enemy behind the backs of the proletariat to thwart the socialist revolution. Let us give Dimitrovism no chance to cheat the proletariat again with the "Popular Front". Let us ensure that the Bavarian workers are not left in the lurch by the rest of the proletariat in Germany. 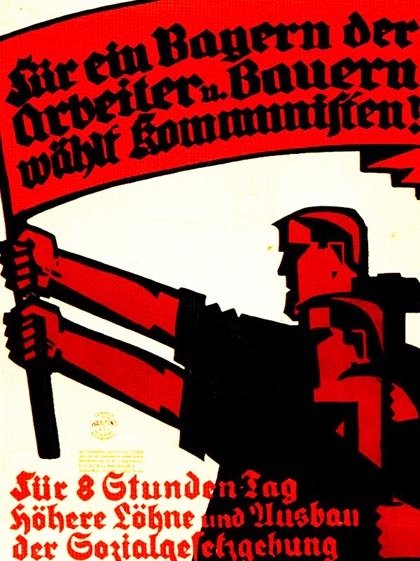 Let's build a strong German section of the Comintern (SH), which leads the socialist revolution in the whole of Germany, and thus also in Bavaria to victory and secures with the dictatorship of the proletariat. Let's build a strong Comintern (SH), with which the whole army of the world proletariat will come to help the Bavarian workers. 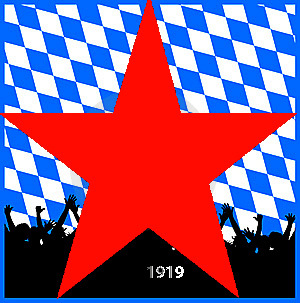 Long live the 100th anniversary of the Bavarian Soviet Republic! 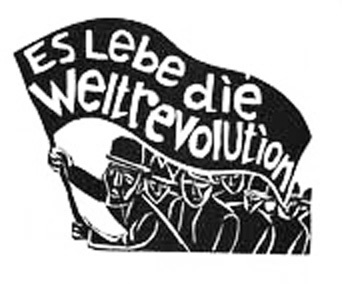 Long live the socialist revolution in Germany! Long live the German section of the Comintern (SH)! Long live the Comintern (SH) and all its sections! Today, the Comintern (SH ) reminds of the first Soviet republic on German soil - the Bavarian Soviet Republic . We remember all the comrades and all the workers who died during the massacre of counter-revolution. Your blood was not spoiled for nothing. 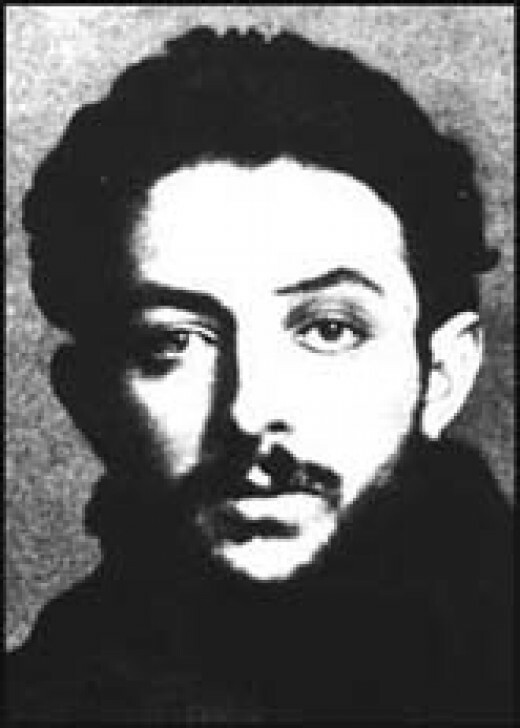 Even today we Communists are " all dead men on leave" as Comrade Eugen Levine said before he was executed on the 5th of June, 1919. No one can and will prevent us from raising the red flag over Munich again ! 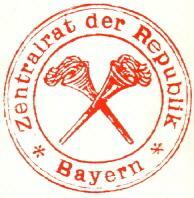 The Bavarian Soviet Republic was created under very difficult conditions and could only be maintained for 3 weeks . First, the Bavarian Soviet Republic could have survived a longer time if the working class would have applied the teachings of Marxism- Leninism consistently enough . A Soviet Republic , which applies correctly the teachings of the 5 Classics of Marxism- Leninism is invincible. 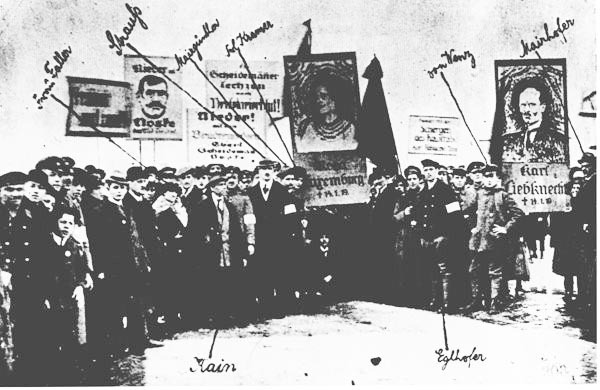 Second, the Communist Party , which led the Soviet Republic in Bavaria, had just been founded and thus the party was not yet ready to take over the leadership of the proletariat at the national level , thus supporting and protecting the Bavarian Soviet Republic from the outside. Only with the help of the Communist International and its Sections , the Soviet Republic can be guaranteed as a world system . 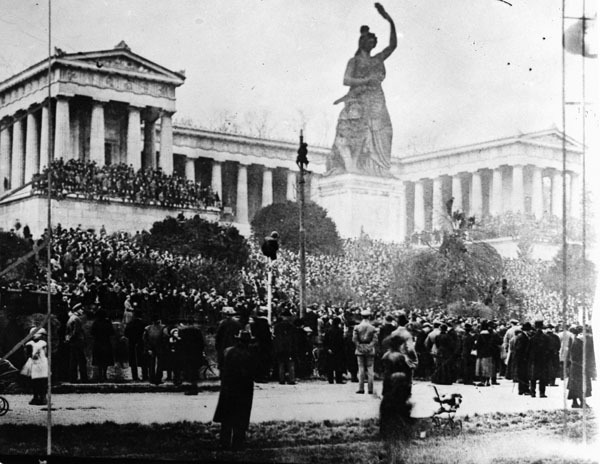 Third, the influence of the social-fascists was not smashed, so that the social-fascists and fascists unified to drown the Bavarian Soviet Republic in workers' blood . 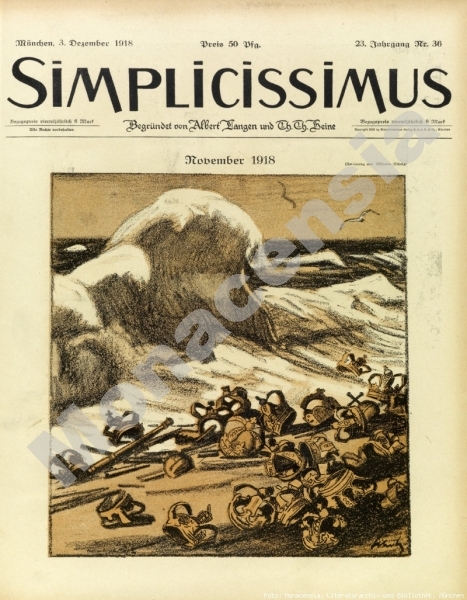 Even today, on the 95th Anniversary , nothing fundamental has changed in the hostile odeological influence of the fascists and social fascists in Bavaria and throughout Germany . The Comintern (SH ) is now the only party in the world that holds high the revolutionary banner of the Bavarian Soviet Republic . Our goal is the destruction of the Alliance of fascism and social fascism on a global scale in order to protect world socialism. No firm alliance with the world's poor peasants - no dictatorship of the world proletariat. 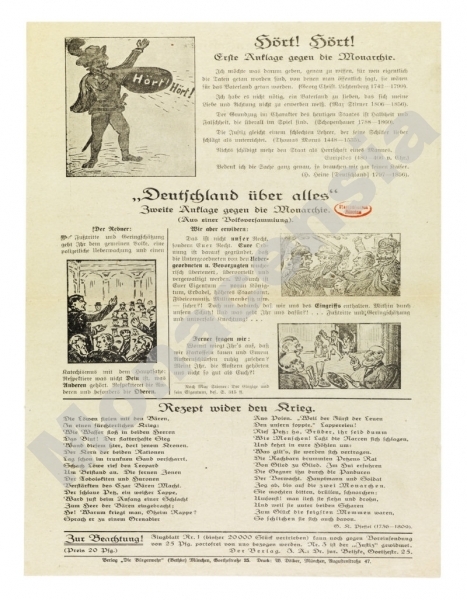 Fifth, the German bourgeoisie , despite her defeat in warn, was backed by the world bourgeoisie, and got support in the fight against the socialist revolution of the German working class as a prevention against the further spreading of the socialist world revolution. The Comintern (SH ) can eliminate the inevitability of the survival of the national bourgeoisie backed by the international capital, only through the victory of the world socialist revolution. Finally, the existence of the Bavarian Soviet Republic proved to the world bourgeoisie that the Soviet World-Republic is not a dream but a question which will be practically solved. Sooner or later the Socialist World-Republic will come inevitably. 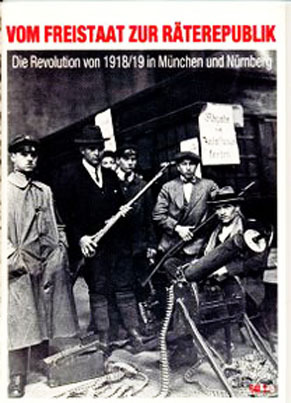 The Bavarian Soviet Republic is a child of the German November Revolution of 1918 /19, which was bloodily suppressed by counter-revolution . In Bavaria, the counter-revolution was encouraged by Noske's success. 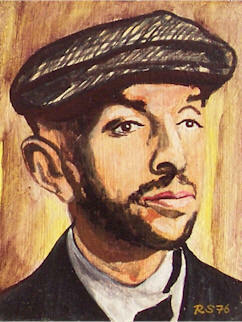 In February 1919, a counter-revolutionary assassinated the Bavarian prime minister Kurt Eisner ( USPD ) . 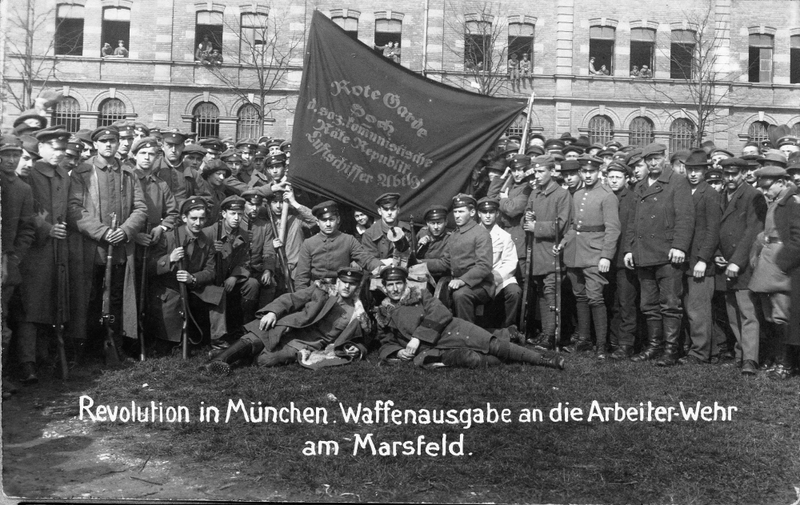 The Central Council of Workers 'and Soldiers' Councils in Bavaria had then formed , a new government on demand of the masses , consisting of Social Democrats and Independents (USPD). But this government was not seriously willing to meet the demands of the masses . To confuse the revolutionary movement , they erected a sham Bavarian " soviet republic ", headed by men who did not behave like revolutionaries. They were traitors and cooperated with the bourgeoisie. The apparent Soviet government did not disarm the counter-revolutionary forces. Almost all monarchic officials stayed in the offices. To deceive the masses, they appointed a "socialization" Commission, however, it took no steps to socialization of factories, banks and soil of the landlords. Meanwhile, the counter-revolution had collected their forces and got support from other parts of Germany. On 13 April, the counter-revolution plunged the apparent Soviet government . 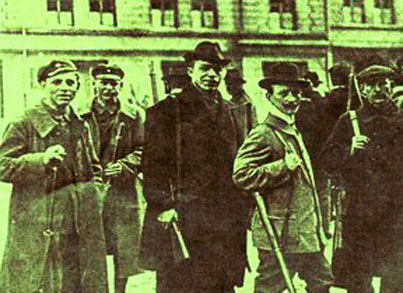 The Munich workers fought bravely to prevent the reaction of gaining power. The workers defeated the enemies. Late as 13 April, a real Soviet Government for Bavaria was proclaimed , at whose head stood the Communist Party with the red army. They immediately sent a welcome letter to the Soviet Republic and the Soviet Republic formed in Hungary. Lenin responded with a series of questions and posed all the most important tasks. 20,000 workers received weapons, industrial enterprises and banks became property of the people , all food supplies were confiscated and distributed under the control of the Soviet government . The soil was not confiscated and contributed to the poor peasants , and nothing was done to improve the situation of farm workers and the toiling peasants . 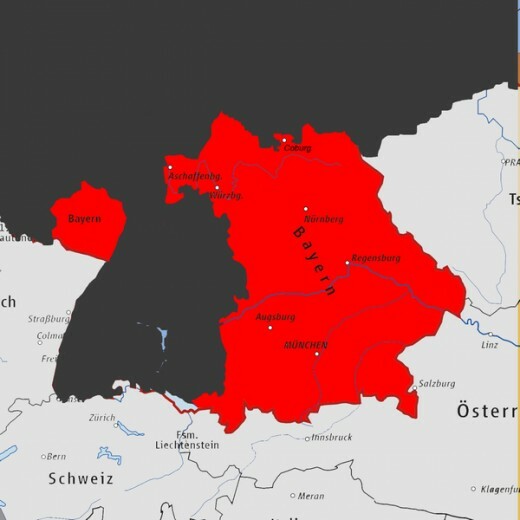 The Bavarian Soviet Republic failed to secure the allies from the countryside. Reactionary organizations incited the peasants against the workers. The Independent Socialists (USPD) as members of the Soviet government were secretly negotiating with the class-enemies, instead of fighting against them resolutely . All this weakened the Soviet government , which got no help from the revolutionary forces on a national scale. 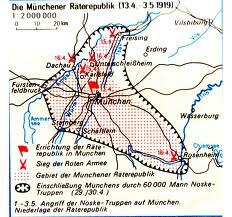 Munich was surrounded. 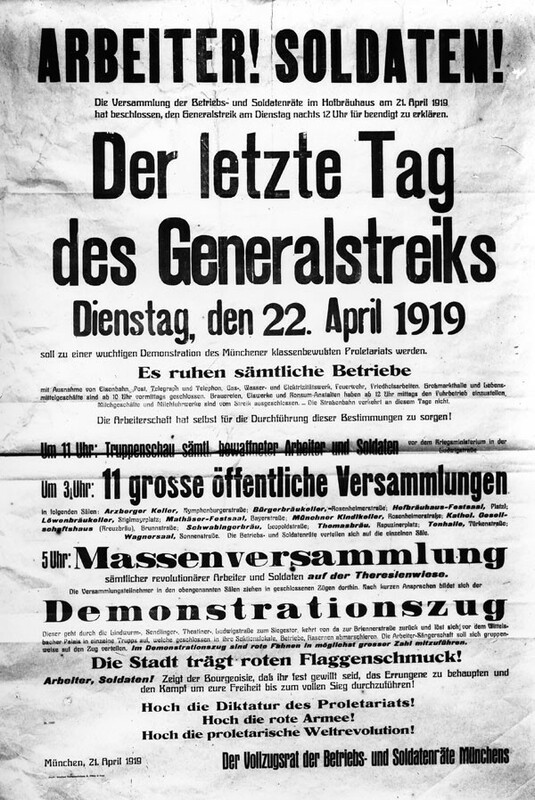 After bloody fightings against Noske (SPD ), the counterrevolutionary troops invaded in the city on 1 May 1919. The workers fought valiantly . 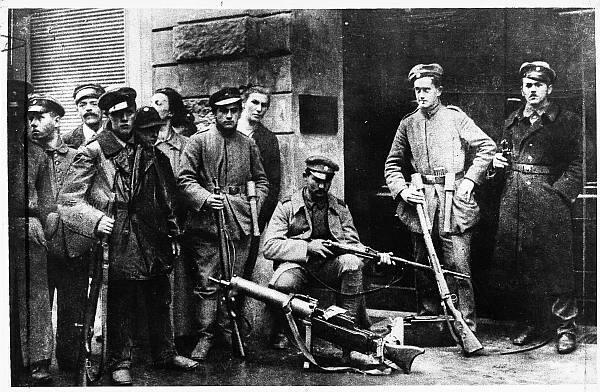 Finally, the machine guns , tanks , guns and aircraft of the numerically superior reactionary Freikorps destroyed the Bavarian Soviet Republic. 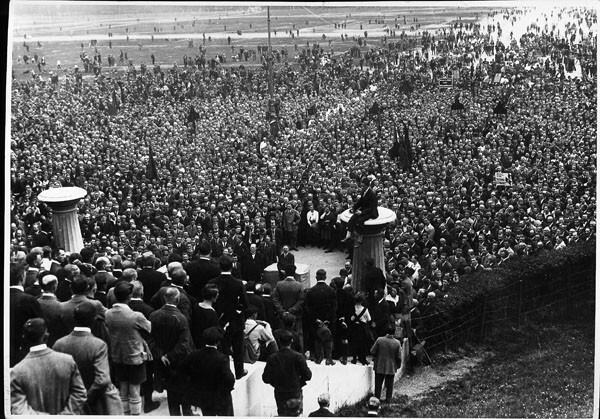 The Bavarian working class was, is and remains a shining example of the heroic struggle for world socialist revolution. Long live the Bavarian Red Army! Long live the Red Army of Germany! Long live the Red Army of the World ! Long live the Bavarian Soviet Republic ! Long live the Russian Soviet Republic of Lenin and Stalin ! Long live the Soviet Republic of Hungary and other countries, such as Finland! Long live the socialist world-republic! Long live the revolutionary unity of workers, peasants and soldiers in the national and international scale ! 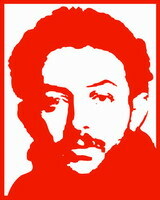 Long live the Communist Party of Ernst Thalmann ! Long live the KPD / ML of Ernst Aust ! Long live the German Section of the Comintern (SH ) ! Long live the Communist International (Stalinist - Hoxhaists ) ! Long live Marxism -Leninism - Stalinism - Hoxhaism ! On behalf of the Executive Committee of the Communist International I send my warmest greetings through you to the Bavarian proletariat, who have founded a Soviet republic. We are deeply convinced that the time is not far off when the whole of Germany will be a Soviet republic. The Communist International is aware that you in Germany are now fighting at the most responsible posts, where the immediate fate of the proletarian revolution throughout Europe will be decided. Long live the German proletariat and its Communist Party! Long live the communist world revolution! We thank you for your message of greetings, and on our part whole heartedly greet the Soviet Republic of Bavaria. We ask you insistently to give us more frequent, definite information on the following. 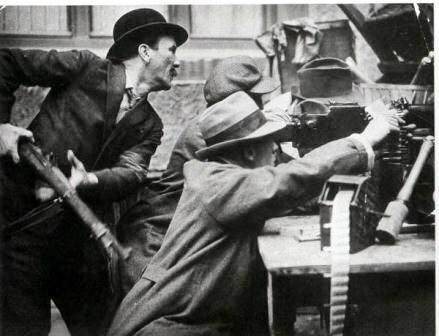 What measures have you taken to fight the bourgeois executioners, the Scheidernanns and Co.; have councils of workers and servants been formed in the different sections of the city; have the workers been armed; have the bourgeoisie been disarmed; has use been made of the stocks of clothing and other items for immediate and extensive aid to the workers, and especially to the farm labourers and small peasants; have the capitalist factories and wealth in Munich and the capitalist farms in its environs been confiscated; have mortgage and rent payments by small peasants been cancelled; have the wages of farm labourers and unskilled workers been doubled or trebled; have all paper stocks and all printing-presses been confis-cated so as to enable popular leaflets and newspapers to be printed for the masses; has the six-hour working day with two or three-hour instruction in state administration been introduced; have the bourgeoisie in Munich been made to give up surplus housing so that workers may be immediately moved into comfortable flats; have you taken over all the banks; have you taken hostages from the ranks of the bourgeoisie; have you introduced higher rations for the workers than for the bourgeoisie; have all the workers been mobilised for defence and for ideological propaganda in the neighbouring villages? The most urgent and most extensive implementation of these and similar measures, coupled with the initiative of workers’, farm labourers’ and— ;acting apart from them— ;small peasants’ councils, should strengthen your position. An emergency tax must be levied on the bourgeoisie, and an actual improvement effected in the condition of the workers, farm labourers and small peasants at once and at all costs. Third International, which straightens the Soviet system , is gaining new and new members. And that stands for our fast and final victory. 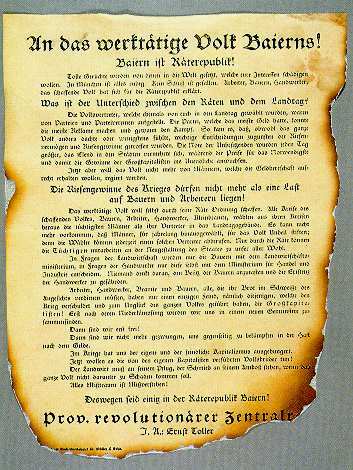 The working class of Latvia , which has been raised together with the Russian proletariat the banner of revolt against the bourgeoisie and against world imperialism has taken the news of the formation of a Soviet Republic in Bavaria with the greatest joy. that the hour of victory of the socialist revolution will strike not only throughout Germany , but all over the world soon. This revolution will , as soon as it has snashed the power of the bourgeoisie and their lackeys , the pseudo- socialists , lead by means of Soviet form , by means of the proletarian dictatorship to full liberation of the working class , to communism. 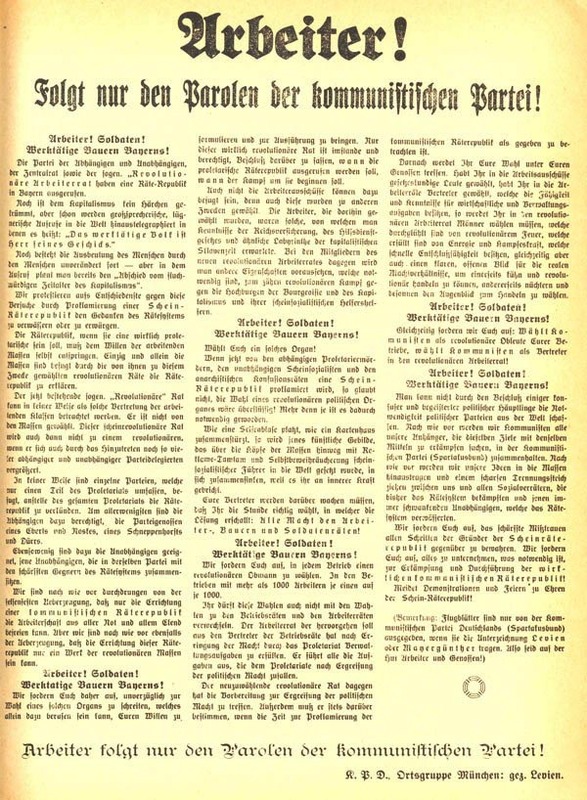 On the first anniversary of the October Revolution in Russia, Kurt Eisner of the Independent Social Democrats declared that Bavaria was a ‘free state’. 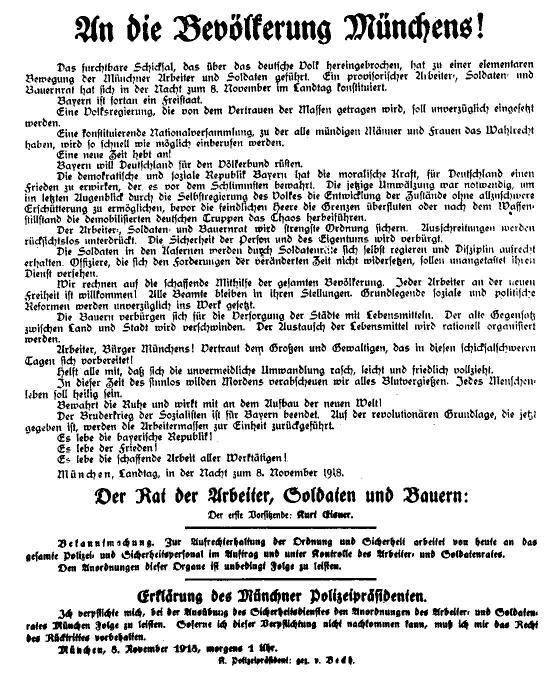 This declaration and its subsequent actions, overthrew the Bavarian Monarchy and Eisner became Minister-President of Bavaria. 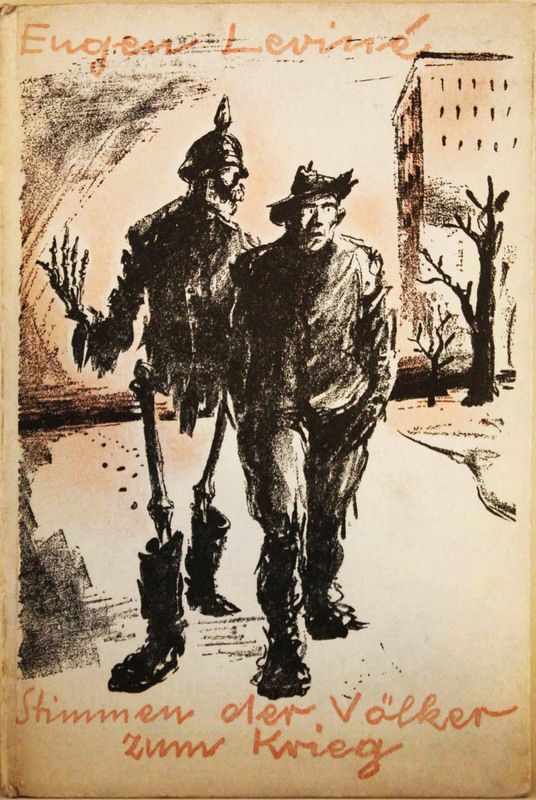 Not Bolshevik, Eisner advocated a ‘socialist republic’ but distanced himself from Russia. Eisner declared that this new government would protect property rights of the capitalists. Following the failure of Eisner’s party to win elections, Eisner decided to resign from politics. Travelling to parliament on the 21st February 1919 in order to announce his resignation, he was assassinated by fascist-nationalist Anton Graf von Arco auf Valley. The assassination caused severe civil and political unrest, fuelled by news that Hungary became a soviet republic. The uncertainty finally boiled over in April 1919. On April 6th 1919, a Soviet Republic was formally declared to the world. Initially ruled by the Independent Social Democrats. Despite many of the leading members of this new Pseudo-‘Republic’ being educated men, ultimately they failed to keep order. 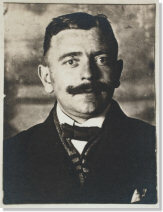 The communist party under the leadership of Eugen Levine began to enact Communist reforms which included the re-distribution of wealth to the citizens and placing factories under the ownership of workers. The communists under Levine not only refused to cooperate with the regular Army, but also organised their own army. 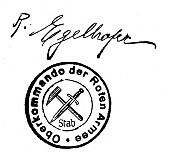 This ‘Rote Armee’ under the command of Rudolf Egelhofer totalled some 20,000 armed workers. 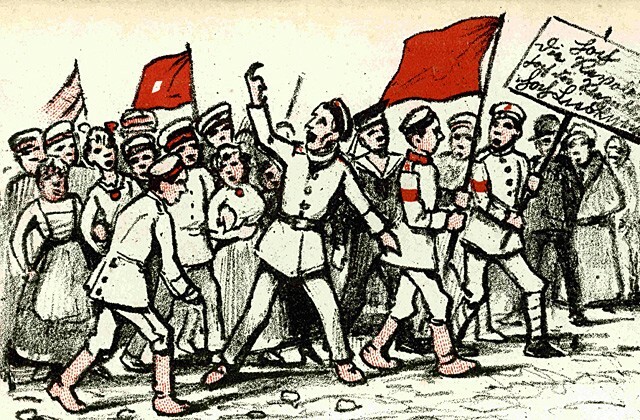 As a classic example of the turbulent period, in response to the execution of 23 ‘red’ prisoners by the ‘regular’ army, the new Red Guards began to arrest right-wing and counterrevolutionary elements. 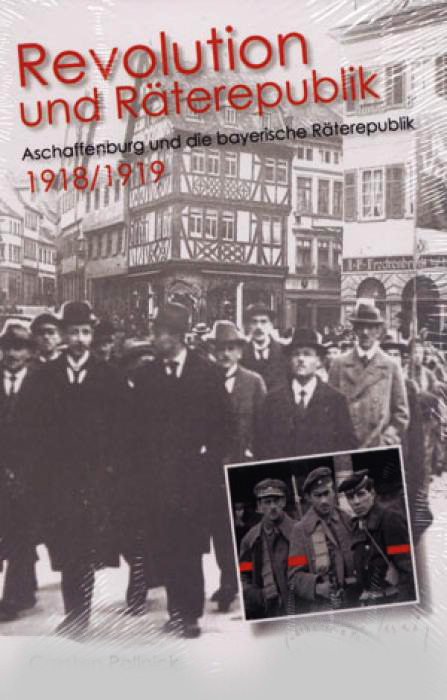 In particular on the 29th April 1919, those arrested included Prince Gustav of Thurn and Taxis, those arrested were accused of being traitors and summarily executed. 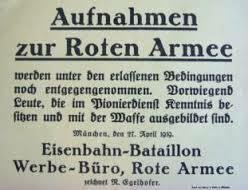 In response to the Red takeover in Bavaria and the execution of civilians and military personnel alike, the German Army with a contingent of 30,000 men in counter-revolutionary "Freikorps" units Epp and Erhardt (Under command of the Socialdemocrats !!) , entered Munich and crushed the communists in bitter and savage urban battles. From the very beginning, the socialdemocrat leaders spilled the blood of communist workers. 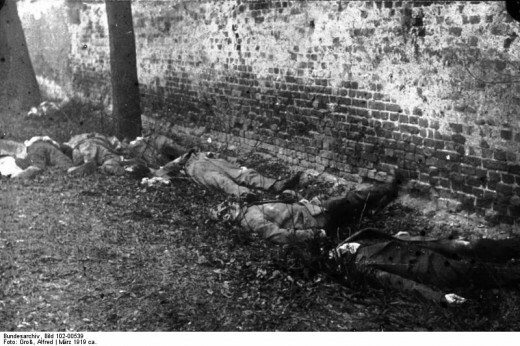 In total over 1,200 communist and supporters of communism were killed in the fighting. 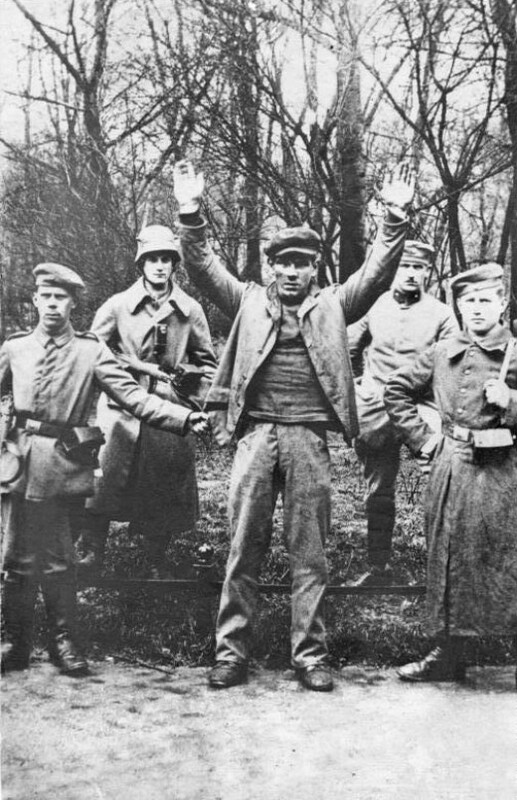 It is estimated that around 700 men and women were arrested and executed by Freikorps Para-Military units. 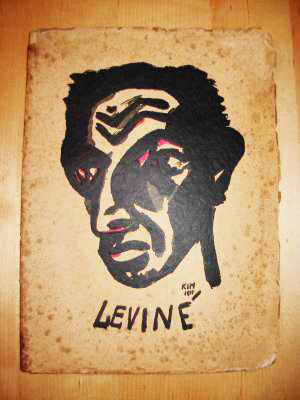 The enigmatic and courageous leader of the revolution, Levine, was arrested, condemned to death for treason and summarily executed. The exact total of men, women and children killed and or executed during the Insurrection will never be known. Estimates range from hundreds to thousands. 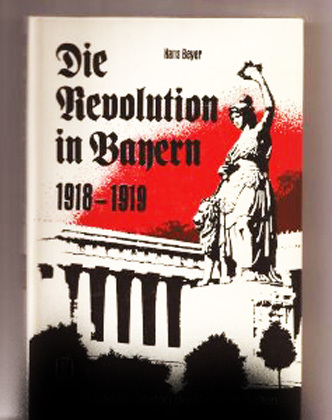 It is important to note that Red Bavaria was merely one of a number of political battles which raged through Germany between 1918 and 1919 and 1923. 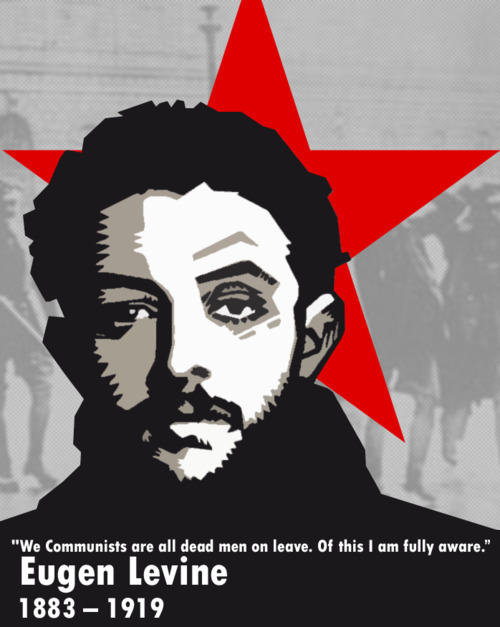 "We Communists are always under sentence of death. Long live the world revolution ! " After the first intoxication the Social Democrats will seize upon the first pretext to withdraw and thus deliberately betray the workers. The Independents will collaborate, then falter, then begin to waver, to negotiate with the enemy and turn unwittingly into traitors. And we as Communists will have to pay for your undertaking with blood?" "The workers, the best of them, will fight whatever our instructions. A revolutionary is no less ready to give his life in upholding the honour of his cause than the patriot who fights to the last ditch preferring death to surrender. The workers would only despise a leader who fell below their own standards of revolutionary honour and preached, in advance, the laying down of arms. It might seem irrational but then no great achievements were ever accomplished without this spirit. Are you convinced? Hard days lie ahead. We must at least be able to feel that they could not be averted." 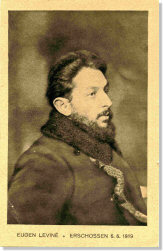 Eugen Levine received instructions to go to Munich to take control of the situation. 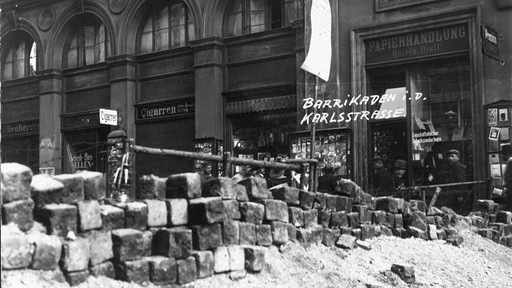 The leadership of the KPD was determined to avoid any repetition of the events in Berlin in January, when its leaders, Karl Liebknecht, Rosa Luxemburg and Leo Jogiches, were murdered by the authorities. Levine was instructed that "any occasion for military action by government troops must be strictly avoided". 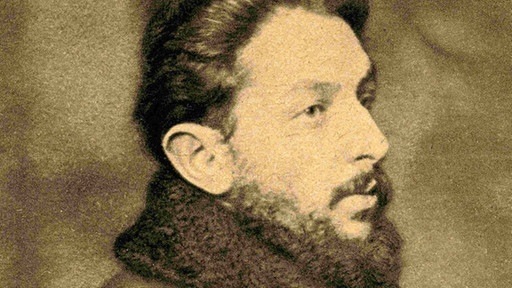 Levine immediately set about reorganising the party to separate it off clearly from the anarcho-communists led by Erich Mühsam and Gustav Landauer. He reported back to Berlin that he had about 3,000 members of the KPD under his control. Eugen Levine pointed out that despite the Max Levien declaration, little had changed in the city: "The third day of the Soviet Republic... In the factories the workers toil and drudge as ever before for the capitalists. In the offices sit the same royal functionaries. In the streets the old armed guardians of the capitalist world keep order. The scissors of the war profiteers and the dividend hunters still snip away. The rotary presses of the capitalist press still rattle on, spewing out poison and gall, lies and calumnies to the people craving for revolutionary enlightenment... Not a single bourgeois has been disarmed, not a single worker has been armed." Levine now gave orders for over 10,000 rifles to be distributed. 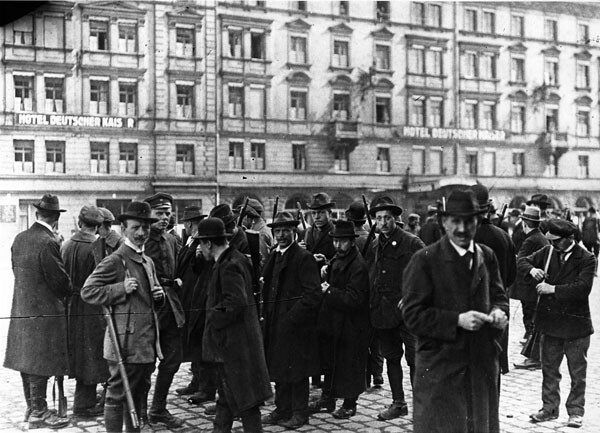 Levine announced that the German Communist Party had doubts about the proclamation of the Bavarian Soviet Republic, but that the party would be in "the forefront of the fight" against any counter-revolutionary attempt and urged the workers to elect "revolutionary shop stewards" in order to defend the revolution. 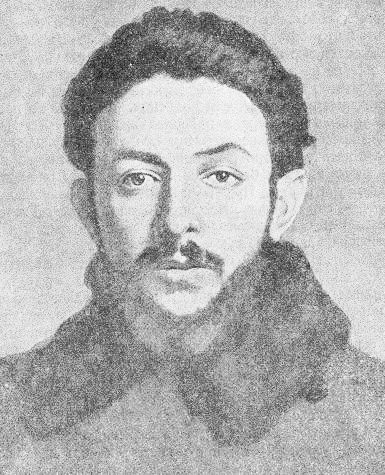 Levine argued that they should "elect men consumed with the fire of revolution, filled with energy and pugnacity, capable of rapid decision-making, while at the same time possessed of a clear view of the real power relations, thus able to choose soberly and cautiously the moment for action." 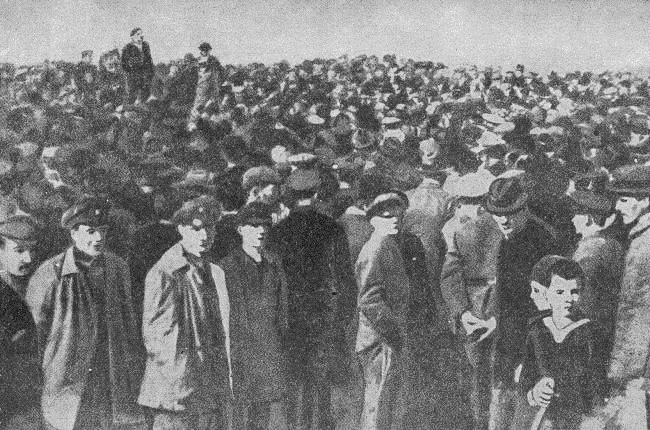 From 14 to 22 April there was a general strike, with the workers in the factories ready for any alarm. The Communists sent their feeble forces to the most important points... The administration of the city was carried on by the factory councils. The banks were blocked, each withdrawal being carefully controlled. Socialisation was not only decreed, but carried through from below in the enterprises. The streets were filled with workers, armed and unarmed, who marched by in detachments or stood reading the proclamations. Lorries loaded with armed workers raced through the town, often greeted with jubilant cheers. The bourgeoisie had disappeared completely; the trams were not running. All cars had been confiscated and were being used exclusively for official purposes. Thus every car that whirled past became a symbol, reminding people of the great changes. Aeroplanes appeared over the town and thousands of leaflets fluttered through the air in which the Hoffmann government pictured the horrors of Bolshevik rule and praised the democratic government who would bring peace, order and bread. "The Proletarian Revolution has no need of terror for its aims; it detests and abhors murder. It has no need of these means of struggle, for it fights not individuals but institutions. How then does the struggle arise? Why, having gained power, do we build a Red Army? Because history teaches us that every privileged class has hitherto defended itself by force when its privileges have been endangered. 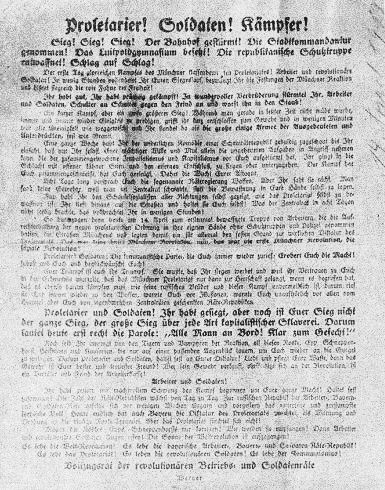 And because we know this; because we do not live in cloud-cuckoo-land; because we cannot believe that conditions in Bavaria are different - that the Bavarian bourgeoisie and the capitalists would allow themselves to be expropriated without a struggle - we were compelled to arm the workers to defend ourselves against the onslaught of the dispossessed capitalists. We Communists are all dead men on leave. Of this I am fully aware. 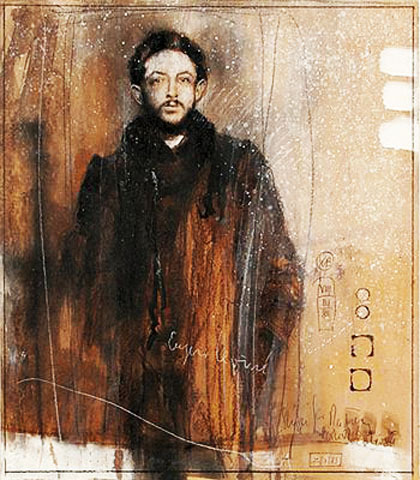 I do not know if you will extend my leave or whether I shall have to join Karl Liebknecht and Rosa Luxemburg. In any case I await your verdict with composure and inner serenity. For I know that, whatever your verdict, events cannot be stopped... Pronounce your verdict if you deem it proper. I have only striven to foil your attempt to stain my political activity, the name of the Soviet Republic with which I feel myself so closely bound up, and the good name of the workers of Munich. They - and I together with them - we have all of us tried to the best of our knowledge and conscience to do our duty towards the International, the Communist World Revolution." 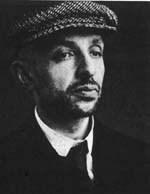 Eugen Levine was sentenced to death on 3rd June, 1919. 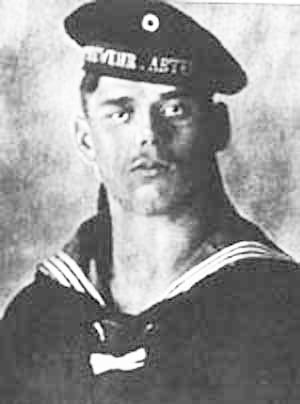 He was shot by firing squad in Stadelheim Prison on 5th July, 1919. I FIND it rather difficult to state my case. Even before my first interrogation I pointed out that the whole of these proceedings – the entire trial was really only the outcome of a political and not of a legal situation. The indictment of high treason is based only on the fact that the Soviet Republic was defeated. When it succeeds, it ceases to be high treason. 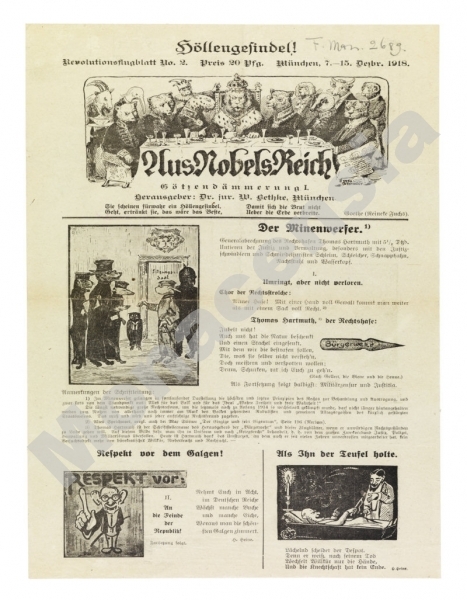 Much the same was said in the leading article of the Münchener Neueste Nachrichten, which stated that "only unsuccessful high treason is high treason. If it succeeds, it ceases to be high treason. High treason is thus a political, not a legal issue." I look upon this Court as the representatives of that class I have always regarded as my political adversaries. Perhaps I could account for my actions before Communists; but how could I defend myself before my adversaries for actions which they must regard as directed against their very existence? I found myself in a similar situation in Russia; I refused to plead and was acquitted for lack of evidence. I shall not pursue the same tactics now; I propose to explain my motives. I am not defending myself because I expect a more lenient sentence from you. Had I wished this I rather ought to be silent. My Counsel, who are closer to you both politically and as individuals could conduct my defence far more effectively. I am addressing the Court now for the same reasons which made me defend myself so resolutely throughout the whole proceedings. Both in the Press and among the public the most monstrous rumours have been spread about the Soviet Republic, about me personally, about the entire course of events, and I do not wish to let the rumours go by unopposed. The Munich workers have known me only for a short time and some of them may be gnawed by doubts as to whether I am really worthy of the confidence they have placed in me. As I am no longer free, I must use this trial to set everything out clearly. My second reason is that I am a member of the Communist Party, and this is the most hated and most maligned party in Germany. 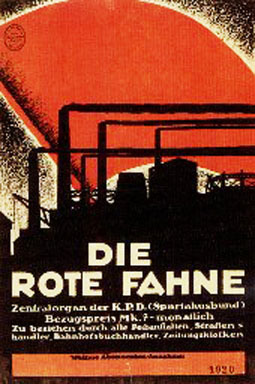 I regard it therefore as my duty to proclaim in public the motives by which the members of the German Communist Party work, wish to work, strive to work. I owe it to the workers on the Executive Committee and to over twelve hundred members of the Factory Councils with whom I have grown close through our day to day collaboration, even if they ultimately repudiated me. I owe it to them, too, to clear their names. I am defending myself, then, not to obtain a more lenient sentence, but so as not to miss an opportunity of establishing the facts. The main difference between myself and the Prosecution is that we regard all political and social phenomena, in Germany as well as in the rest of the world, from totally opposite angles. The Prosecuting Counsel overestimates the power and capacity of leaders to act and to influence events. He assumes that the dice of world history would fall differently according to whether they are cast by honest or dishonest leaders. But the leaders themselves emerge from the masses, even if from a different milieu. They become leaders not because they are superior to the masses but only because they are capable of formulating what tile masses themselves intuitively desire but cannot express for lack of formal education. You will therefore find in your bourgeois circles .I great many people superior to me in erudition, but at a workers’ meeting, I, Gentlemen, would carry the day – and not because of my personal superiority, but only because I would be expressing what the masses felt and wanted. 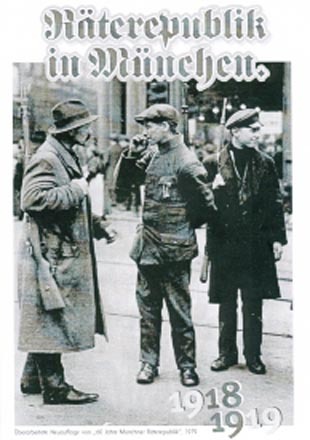 It was the tragedy of the Munich masses that they still had too little political experience. They were well aware that to achieve victory the entire proletariat must act as a body; but they believed that this body could have various programmes and that it was quite sufficient for the Social-Democrats, the Independent Socialists and the Communists to conclude a formal agreement. This was actually one of the reasons for the defeat of the Munich Soviet Republic. When the proletariat is united in its will and purpose, it is invincible, but not when unity is established in a merely formal organisational way. This point of view makes my appraisal of all the issues with which I shall deal later quite different from that of the Prosecution. I do not wish to mitigate my sentence; I do not wish to shift the legal responsibility onto the Executive Council. I answer unreservedly for my actions. I was partly the initiator and I first formulated the ideas which the workers only felt instinctively; but I can say that I would never have taken part in a revolution which was thrust upon the workers by the leaders in the way the Prosecution has described. When I went as a young student to Russia, I already realised that the activity of a political agitator consists only in formulating the historical will of the masses, not in forcing his own will upon them against their will. This principle governed my actions. I appealed to the masses. When they agreed with me, they responded. When they did not, I had unfortunately to play the part I did play and to reap the legal consequences of what others in their folly had sown. I say all this not to explain my personal attitude, but because it expresses the fundamental views of the Communist Party. This party is generally regarded as a group of people who set out to impose minority terror and dictatorship over the proletariat. Yet every line of the party programme testifies that the proletariat alone is destined to achieve its emancipation. Our whole attitude to the much-debated question of terror and the use of force follows on from this viewpoint that not only a major part of the task but the entire task is assigned to the masses. I have already had the opportunity to expound my attitude to the dictatorship of the proletariat: that it is only an intermediate stage between the dictatorship of capital and the establishment of complete democracy with only one class of working people. The Communist Party is convinced that this programme could very well be realised without violence if the dwindling minority of property owners would not close their minds to historical necessity. The armed struggle of which we are so vehemently accused only begins when this dwindling minority nevertheless proceeds to defend the privileges of its caste and class by force of arms. "The Proletarian Revolution has no need of terror for its aims; it detests and abhors murder. It has no need of these means of struggle, for it fights not individuals but institutions." How then does the struggle arise? Why, having gained power, do we build a Red Army? Because history teaches us that every privileged class has hitherto defended itself by force when its privileges have been endangered. 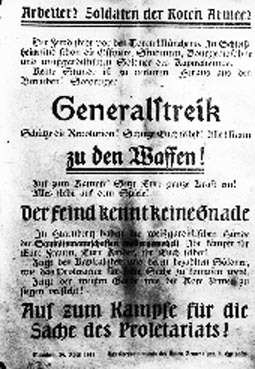 And because we know this; because we do not live in cloud-cuckoo-land; because we cannot believe that conditions in Bavaria are different – that the Bavarian bourgeoisie and the capitalists would allow themselves to be expropriated without a struggle – we were compelled to arm the workers to defend ourselves against the onslaught of the dispossessed capitalists. This is how it has been in the past and this is how we shall naturally always act in the future, whenever we succeed in attaining power. We did not call on the workers to take up arms out of pleasure in bloodshed. On the contrary, we would be only too happy if the hitherto privileged classes would refrain from embarking upon a hopeless struggle – for one day the struggle will be hopeless. I should like to draw your attention to the fact that the victory of the proletariat in November also passed without bloodshed. 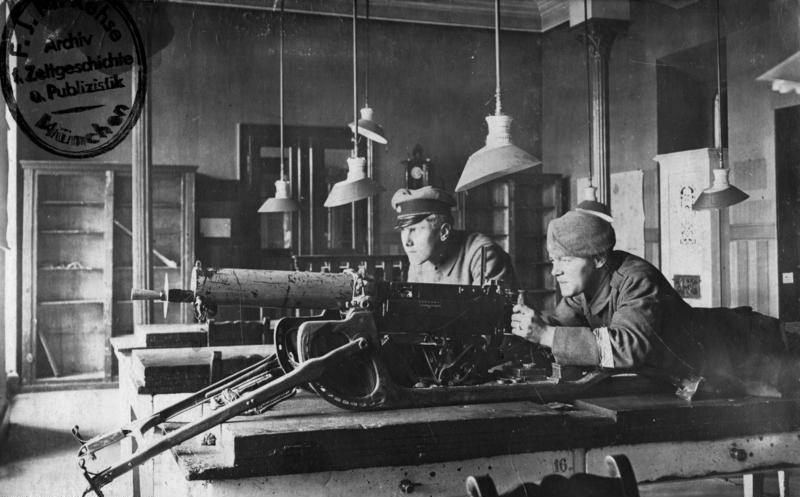 In Berlin, for example, the first shots were fired at six o’clock in the evening from the Royal Stables when a group of officers opened fire on defenceless pedestrians out of annoyance at the course of events. In my view we armed the proletariat to deter the bourgeoisie from an armed counter-attack. The President of the Court or the Public Prosecutor earlier quoted part of an article from the Bulletin of the Executive Council, expressing the apprehension that any gun not surrendered by the bourgeoisie would be used against the proletariat. 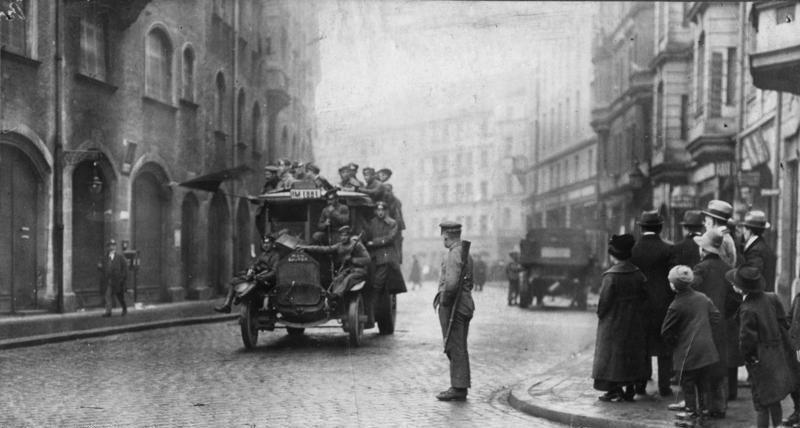 While I was initially extremely pessimistic about the situation and did not believe that Bavaria was any different and that the Bavarian Government would not dare to allow the Prussians to march on Munich, I gradually came to hope that we might possibly succeed in holding out until Soviet Republics had been proclaimed in other parts of Germany and that the Hoffmann Government would refrain from attacking us. We all regard the events of the early days of May not as a proletarian offensive but as an unmotivated bloodbath into which the White Guards plunged the Munich working class. During the whole time I was in Munich I had the great joy of working hand in hand with my Communist friends. There was always complete unanimity between us and I therefore felt that I was not a stranger but could identify myself with these Communist workers, and through them with the entire Munich working class. I was therefore entitled, at least for that period, to speak in their name. A second point which also follows from my whole outlook is the recall and dismissal at any time of each and every functionary. The cornerstone of a Soviet Republic is the factory council. The workers are not organised regionally, but in the factories, where they are together every day, where they can get to know each other in the course of their daily work, and where elections of the functionaries are held on totally different principles. There the workers know whether their representative is a mere babbler or a man who can stand his ground. That is why we accepted this form of organisation as natural and normal – all the more so since the new state was to include only working people. Every representative would hold office only as long as his electors wished. It was therefore not an empty gesture when I repeatedly offered to return my mandate to the Factory Councils. Hence I can say that I and my friends – I may call them my friends – of the Action Committee, all thirty-five of us who resigned on 27th April, were prepared to do so at any time. Not one of us clung to his mandate. And I can assure you that the life we led had no great attraction for any of us, nor for the workers among us, weary after their daily work. All of us remained in office only out of a sense of duty and regarded it as a heavy burden. I repudiate any suggestion that any single one of us craved for or was drunk with power. Not a single one of us wrested power by force. We received it from the workers of Munich. In the course of two weeks they compelled us three times to keep our mandates. I therefore also reject the allegations that only a triumvirate – Levien, Leviné and Axelrod – or an alien clique, determined the policy. None of these three was a member of the Revolutionary Tribunal or the Committee for Combating the Counter-Revolution. I should also like personally to reject a reproach which, it is true, was raised from outside the Court but was partly also levelled at me by the Prosecution – namely, that we are aliens. I know very well that I am of Russian origin. I am a Jew, I am not Bavarian. How then could I presume to accept a post which, according to my Counsel corresponded to that of Prime Minister? To understand this you must project yourself into the minds of the working class. Our ideal is a future German Soviet Republic which one day will be merged into an International Soviet Republic. As long, however, as that was not achieved, Soviet Republics could and can only be affected in separate places, and we were of course convinced that everyone who felt fit for a given post must accept it if no one else was available. I accepted the post because my previous activity had also given me insight into economic relationships and because I felt justified and indeed morally bound to accept it as no one else was there. And as long as I held the post I had a duty to perform towards the German as well as the International proletariat, and the Communist Revolution. The Prosecution accuses me of having instigated the ten days’ general strike. It is true that it was I who moved the resolution calling for a general strike. It was obvious that to safeguard a proletarian dictatorship the entire proletariat should stand by, and stand by armed. We had no police, and it was essential to prevent looting and so forth. The Prosecution has asked how I could possibly justify keeping people away from their work for ten days at a time when work was so urgently needed. 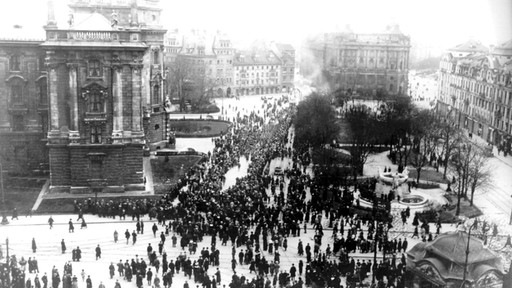 The German Government kept millions of proletarians away from work, not for ten, but for many hundreds of days. The German Government aspired after Bagdad and Longwy. We wanted Communism. The means, however, which you do not condemn in their case, you should also not condemn in ours just because we pursue other aims. The Prosecution claims that the workers only struck under the threat of machine-guns. In reality the motion calling for the strike was unanimously adopted by the representatives of all the factories, including the clerical staff; the officials’ organisations, the post office workers – all were in favour of the strike. Where then is the terror? Where the violation by a minority? 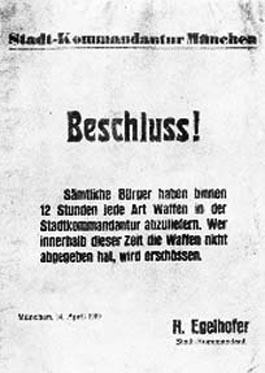 Why does the Prosecution accept the legends which discredit the workers of Munich? Why will it not admit that they acted in accordance with their own mass-resolutions? Some time later, on the Tuesday after Easter, it was proposed to call off the strike in view of its economic effects. I made a counter-proposal. Sunday and Monday were Easter holidays. If the workers returned to work on Tuesday, it would have created the impression that the strike had fizzled out. I suggested a more dignified conclusion, more consistent with the will of the working class – namely, to strike on Tuesday, to close all theatres, to stop all trams running so that it was quite clear that it entirely depended on the individual, free decisions of the workers whether they worked or not. This resolution was again accepted unanimously. The Prosecution will know how it was carried out. 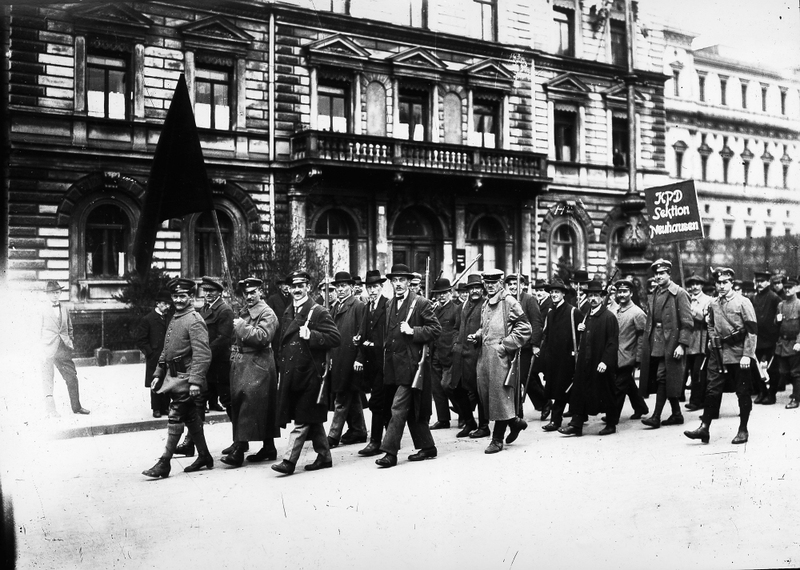 The workers, with hundreds of post office employees, men and women, in their pale-blue uniforms in the vanguard, marched to the Wittelsbach Palace to express their solidarity with those who have been portrayed in this Court as terrorists and the enslavers of the Munich proletariat. In the opening stage of the Soviet Republic we had to prevent the propaganda of the bourgeois Press. We were not in a position to introduce mere censorship and were therefore compelled, it is true, to close down the newspapers. You say that is terror. Yes, it is terror. The same terror practised by the Hoffmann Government in suppressing the Rote Fahne. The same terror which affords me no other opportunity of justifying myself before my Party comrades than to appeal to the President of this Court to let me state my case. The Prosecution accuses me of having insisted on harsh sentences and at the same time holds me responsible for the looting in the Soviet Republic. I cannot quite understand it. Either I ought not to have instructed the Tribunal to apply severe measures, as was testified by the witness Kämpfer, in which case I cannot be reproached for the looting; or else I should have been allowed to instruct the Tribunal in its duties in the manner I considered necessary in the interests of our work and our task, and then I cannot be reproached for having done so. While condemning me for even considering the introduction of capital punishment, the Prosecution is demanding in the same breath the death penalty for me – for me who neither looted nor murdered. The Prosecution has spoken of the internal peace which I have endangered. I did not endanger it, because internal peace does not exist. As long as the word "socialism" merely heads the notepaper of the various governments there can be no internal peace; and as long as there are shareholders who could double their fortunes in the five years of war without doing a stroke of work, the workers will try to claim their share of that increased wealth and the shareholders will not allow it. And the more the economic conditions deteriorate in the aftermath of the war, when the prisoners of war return to find no work, no homes, no clothes and the little there is cannot be justly distributed because there is no Communist Republic, the internal struggle will continue. And if it assumes forms of which I and my friends do not approve, the struggle will go on as an inevitable phenomenon against which there is no appeal. Take a look round! In this very Court are officials who earn monthly only I50 to I80 marks under the present cost of living. Take a look at the homes of the so-called "Spartacist nests", and you will understand that we have not endangered the internal peace; we have only revealed that internal peace does not exist. And so long as it does not exist this struggle will go on. And if it assumes military forms and carries in its wake all the ghastly misery and distress that actually prevailed in Munich during the first days of May, it is not we who are to blame but those who deny the working class the right to decide its own destiny. The Prosecution has claimed that I am morally guilty of shooting the hostages. I emphatically repudiate this charge. The guilty are those who in August 1914 were the first to take hostages, though they were never brought to justice or sentenced to death. If anyone else is to blame it is the men who sneaked off to Bamberg and from there sent misguided proletarians together with Officers’ Units and Negroes to fight against Munich. Mr President, I know very well what I may bring on myself by this statement. But I must say that I have been provoked by the Prosecuting Counsel as never before in my whole political career. 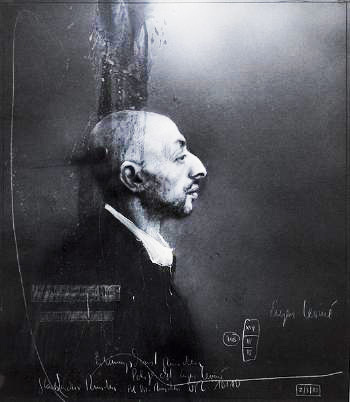 To justify his demand for the death sentence the Prosecution charged me with dishonourable motives, and based this charge above all on an accusation of cowardice – one of the gravest accusations that can be levelled against a man who has been engaged for sixteen years in the revolutionary struggle. 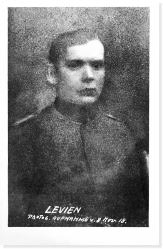 I am prepared to let that pass and will only say that if the Prosecution reprimands me for not having joined the Red Army after I withdrew from the government and had no more duties to fulfill, I must refer to the statement already made by my Counsel – namely, that I am guided by the code of honour prevailing among my own friends. On the last evening we held a meeting, attended by workers, members of the Red Army and others, at which it was unanimously decided that members of the Red Army were to remain at their posts, while former members of the government were to "disappear". I disappeared. I disappeared, I "sneaked away" in agreement with my Communist friends. But not to save my skin. Gentlemen, you were very indignant about one of my remarks. I shall not speak about the manner in which I made that remark, but in substance it is nevertheless true. I have read myself in the news papers that among the troops which marched on Munich there were Negroes. Moreover the Hoffmann Government had not shrunk from certain other measures. Everyone must admit that the blockade of Munich, the closing of the railways and the stoppage of food supplies as practised in this "free state", were nothing more than a repetition of the English blockade which was regarded as morally so objectionable. Karl, Rosa and Company, none on show! 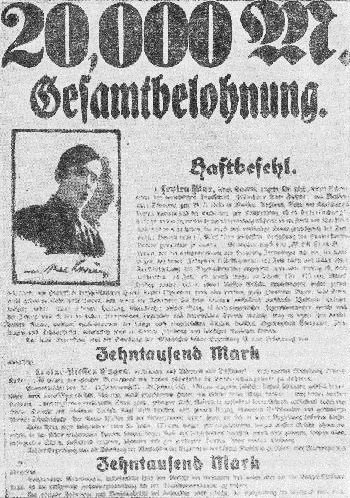 Three days later Karl Liebknecht and Rosa Luxemburg were murdered, and the "Company", my friends Werner Müller and Wolfgang Fernbach were also killed. Not one of them was a member of the Red Army. Gentlemen, I have twice been accused by representatives of the Bavarian Government of cowardice. 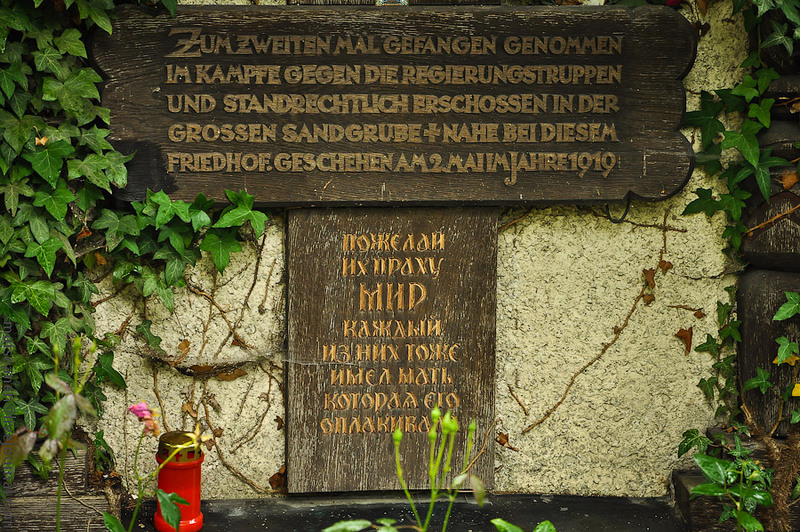 The first time by Schneppenhorst for not approving of the establishment of a Soviet Republic; the second time by the present Prosecution for fighting not by force of arms but in my own way, according to my own judgement, and for my absence from the battlefield as agreed with the Communist Party. Pronounce your verdict if you deem it proper. I have only striven to foil your attempt to stain my political activity, the name of the Soviet Republic with which I feel myself so closely bound up, and the good name of the workers of Munich. They – and I together with them – we have all of us tried to the best of our knowledge and conscience to do our duty towards the International, the Communist World Revolution. 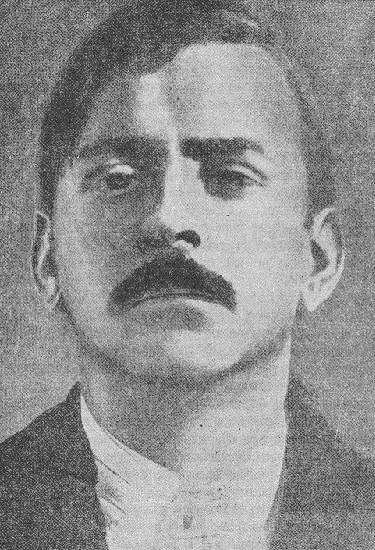 Eugene Leviné has been condemned to death for the crime of high treason. Grounds: From April 4th to 5th the Revolutionary Central Council met in order to overthrow the legal constitution and to proclaim a Soviet Republic despite Leviné’s opposition. 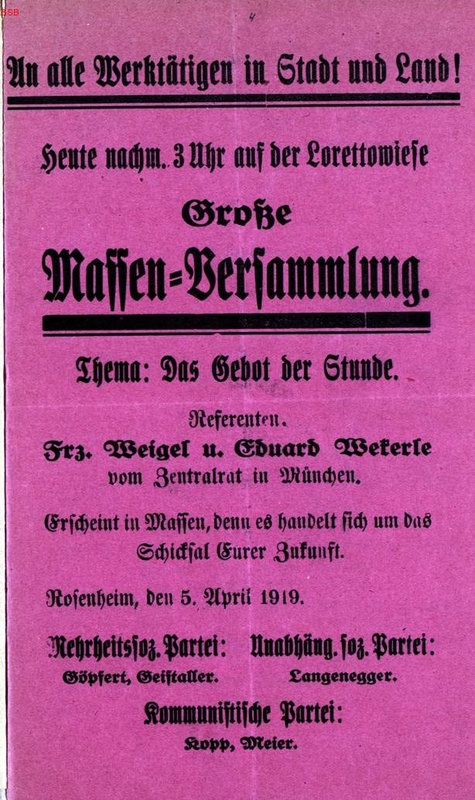 The Hoffmann Ministry transferred its seat to Bamberg, while explicitly reserving its rights. The Diet was not dissolved. The proclamation of the Soviet Government was not founded as a State power. It was merely an act of insubordination against the existing constitutional government. On the night of April I3th to I4th a part of the Munich garrison sought to help the legal government to re-establish its power. 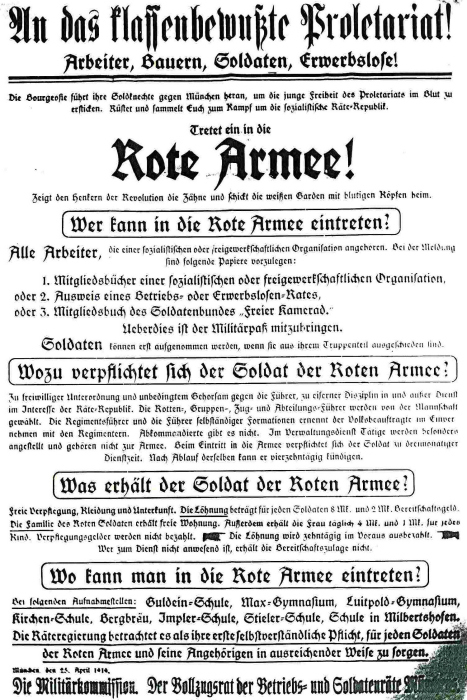 On this date began Leviné’s positive activity aimed at changing by force the Bavarian constitution. 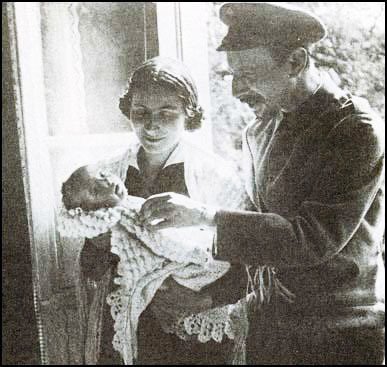 He brought about the proclamation of the second Soviet-Republic and the dictatorship of the proletariat. On his initiative an Executive Council and a Committee of Action were set up under his presidency. He ordered the immediate proclamation of a general strike to mobilise the masses for his purposes. 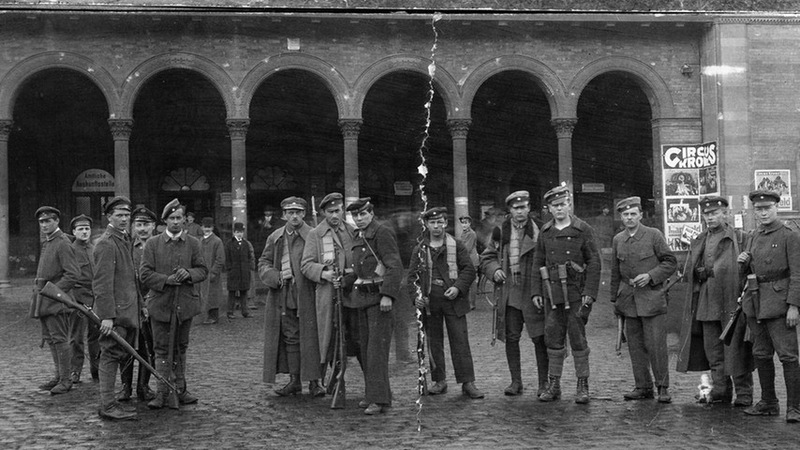 The proletariat was armed, a Red Army organised to fight against the government forces. 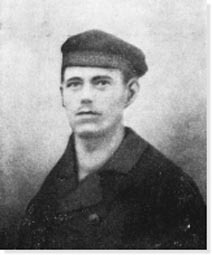 Leviné repeatedly called for the most resolute resistance. A Judicial Commission was appointed to combat the counter-revolution, that is to persecute and suppress the supporters of the lawful government. The Revolutionary Tribunal, which was taken over from the first Soviet Republic, was to serve the same ends. 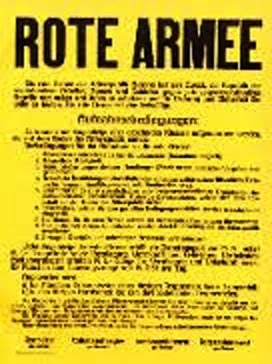 Numerous actions were carried out by the Red Army to extend the Communist rule by force of arms beyond the borders of Munich. All these measures were designed to transform the entire legal and economical structure into a Communist or Socialist State. Leviné explicitly accepted full responsibility for all this. Such conduct warrants a charge of high treason. 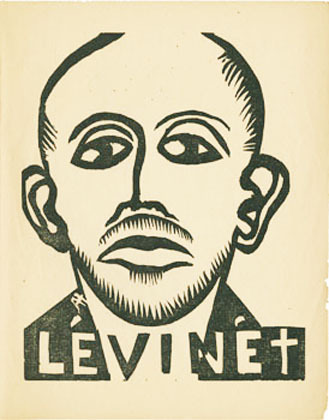 Leviné was an alien intruder in Bavaria and he was not in the least concerned with the nature of its constitution. A man of great intellectual powers, he was fully aware of the implications of his actions. It stands beyond doubt that a man who meddles in such a way with the destiny of a people is guided by dishonourable convictions. For this reason the defendant is denied mitigating circumstances. The Court regards moreover severest punishment as an imperative command of justice. In accordance with Article 3 of Martial Law the Court therefore pronounces the death sentence.